The home health care industry started in America in the late 1800s. During this time many injured and seriously ill people were cared for in their own homes by doctors and nurses. Before much of the medical advances we are familiar with today came into place, severe illness could cause people to be bedridden or quarantined in their homes for months at a time. As medical technology advanced, nurses and doctors brought skilled medical care into the homes of people in need. By the early 1900s roughly 450 nurses were employed to make home visits to the sick and the injured. They acted as freelancers who would go to patients’ homes to care for them when they could not visit a hospital or care for themselves alone. It quickly grew to become a standard in insurance policies to pay for home care. By 1912, the American Red Cross had implemented a nursing program that sent nurses to care for people in other countries where there was limited health care. After the First World War the American Red Cross began establishing this nursing program in communities across the United States. During this time roughly 68 new programs were being opened every month. From this time the home care industry continually grew. Between the mid 1950s and 1960s the home health care industry began to section off into separate branches of home care: hospital home care, community home care, and private pay care. The private pay care model is essentially where modern nursing registries began, as they paired qualified freelance nurses with people in need – often elderly people. In 1965 Medicare approved home health care benefits for elderly people. Certification programs were developed over time, teaching individuals specialized skills for caring for elderly people in their homes. By 1979 these programs had expanded to include people who wanted to help disabled patients, as well, regardless of age. This was to combat the occurrence of abuse that was happening in many institutions, including homes for the elderly or disabled. People could now get the care they needed in their own homes at affordable rates. By the early 1990s there were roughly 5,900 Medicare approved home care nursing agencies. Nursing registries now connect clients with home care professionals who are skilled in a variety of specializations. Between occupational and physical therapies, counseling, medical treatments, psychiatric care, personal care, and many other fields, there is a home care professional available for every aspect of the healthcare industry. 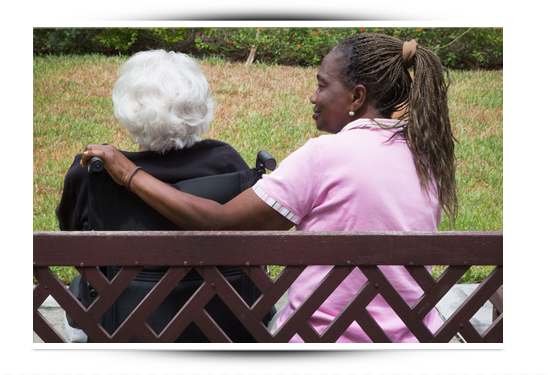 Value Care is locally owned and has been helping clients in Florida since 2007. If you would like to learn more about our referral services, Call Us Today.